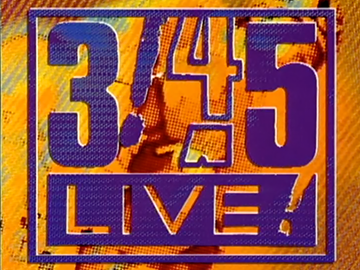 Producer Ric Salizzo followed a series of All Black tour videos with this popular long-running live show. 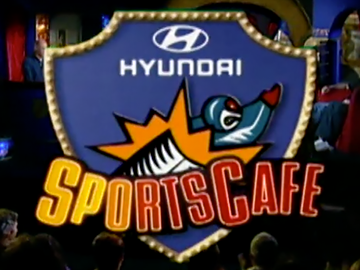 The Sky Sport (later TV2) series featured interviews and skits, and gathered a loyal following for its recipe of sports fandom mixed with schoolboy pratfalls (and tension between larrikin ex-All Black Marc Ellis and co-host Lana Coc-Kroft). Other members of the circus that Salizzo tried to wrangle included That Guy (Leigh Hart), Eva the Bulgarian (Eva Evguenieva), Graeme Hill, and the Human Canonball (Ben Hickey). The show made a brief comeback in 2008. Hosted by Sticky TV's Julia Bloore (née Wright) and Jeremy Hollis, this studio-based show was aimed at nine to 13-year-olds, or "tweens". 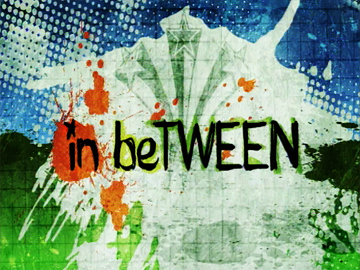 in beTWEEN debuted on commercial-free channel TVNZ 6 in 2008. It ran for 39 episodes, over three years. Presented before a live audience of tweens, each episode covered a different theme, including green issues, technology, bullying, parties, kissing, dating and divorce. Children took control of sections such as Diary Cam and The Beginner's Guide to... .The studio guests included politician Jacinda Ardern and actor Rawiri Paratene. 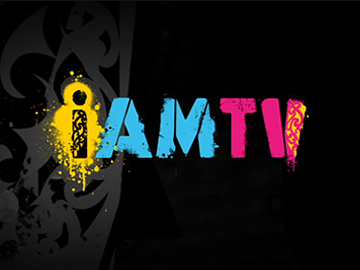 Interactivity with viewers was at the heart of TVNZ bilingual youth series I AM TV. Launched at a time when social networking website Bebo was still king, I AM TV enhanced audience participation via online competitions, sharing amateur videos, and encouraging fans to send in questions during live interviews. Te reo and tikanga Māori featured heavily in the series, which showcased music videos, sports, pranks, interviews and travel around Aotearoa. Hosts over the five years the show was on air included Kimo Houltham, Candice Davis and Mai Time's Olly Coddington. 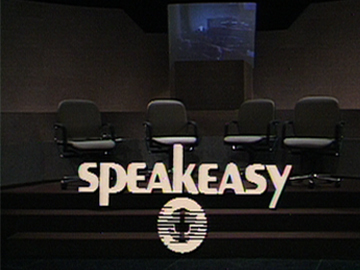 Speakeasy was an early 80s chat show hosted by broadcaster Ian Johnstone. Each episode explored a theme and invited a trio of subjects “who could talk well about their own experiences and views” (as Johnstone put it in his 1998 memoir Stand and Deliver). Produced by David Baldock, the subjects were “New Zealand events and issues but not news and politics”, and ranged from sports leadership, to returning home from overseas, to race relationships in Aotearoa. Interviewees included cricketer Glenn Turner, singer Howard Morrison and actor Ellie Smith. No Opportunity Wasted was a reality show devised by Phil Keoghan, Emmy Award-winning Kiwi host of The Amazing Race. In the show Keoghan ambushed contestants and gave them a limited time (three days) and limited resources (usually $3000) to ditch the excuses and "live life now". Challenges included swimming with sharks, building a giant community playground, and a NZ tough guy competition (that included future Olympic champion rower Eric Murray). The New Zealand edition followed on from the inaugural series that screened on Discovery Channel in the US in 2004. 3:45 LIVE! was an afternoon links programme for young people that screened from 1989 - 1990. As well as linking afternoon programmes on TV2, the show included interviews with prominent (local and international) music stars, sports heroes and media personalities of the time, from rapper Redhead Kingpin and Eurythmics' star Dave Stewart to newsreader Judy Bailey and All Black Gary Whetton. Presenters included a young Phil Keoghan (of future-Amazing Race fame), Hine Elder, Rikki Morris, and Fenella Bathfield. Town Cryer was New Zealand's first live talk show to play to a national audience (Peter Sinclair had earlier hosted a late night regional chat show). Although enthused, local audiences took a while to believe it wasn't prerecorded. Over 64 episodes, Max Cryer persuaded both local and international names to join him, including actors, sports stars, Robert Muldoon — and an emotional appearance by singer Larry Morris, hours after finishing a prison sentence for drugs. In 1977 Town Cryer morphed into an afternoon show, shorn of its musical performances; by year's end it was gone. Today Live was an interview show hosted by journalist Susan Wood; it was aimed at “the lighter, more conversational end of the spectrum” from her work at the time as stand-in on Holmes. 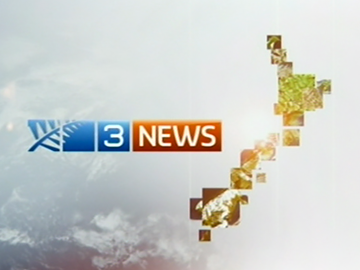 Part of TVNZ’s search for a lead-in to the 6pm news, it screened 5:30pm weeknights from March 2000 to December 2001. Each episode typically featured three interviews with regular reviewers and guests that included actors, authors, sports people, musicians and newsmakers. Auckland’s rush hour traffic and weather provided a backdrop, courtesy of a rooftop studio with a glass wall. 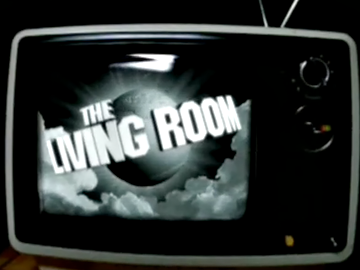 A magazine show with an edge, The Living Room did for arts television production what Radio With Pictures did for New Zealand music — it ripped open the venetian blinds, rearranged the plastic-covered cushions, and shone the light on Aotearoa’s homegrown creative culture. Often letting the subjects film and present their own stories, it was produced for three series by Wellington’s Sticky Pictures, who would go on to make another arts showcase, The Gravy. Amidst the calvacade of Kiwi talent, Flight of the Conchords and musician Ladi6 made early screen appearances.